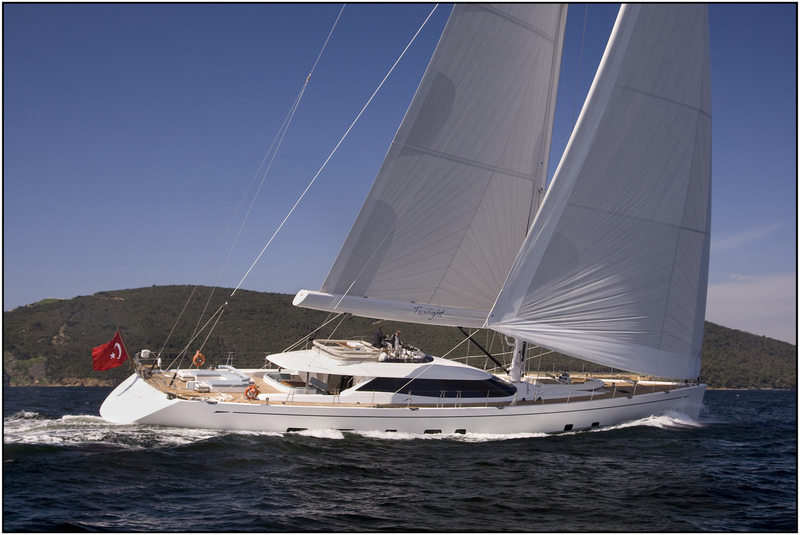 New Year’s and January Charter Special for Sailing Yacht TWILIGHT – Superyachts News, Luxury Yachts, Charter & Yachts for Sale. The Oyster 125 sailing yacht TWILIGHT is offering a special rate for New Year’s and January charters, where she is available for amazing US$60,000 per week plus expenses, instead of her usual US$90,000 – 99,000 per week. She is available in the Caribbean, including Leeward, Windward and the Virgin Islands. Launched in 2013 by the Turkish shipyard RMK Marine, TWILIGHT was designed by the respected Dubois Naval Architects with interior design by Rhoades Young. At 38 metres, the vessel offers great entertainment, socialising and relaxing areas as well as spacious accommodation in four luxury cabins to eight charter guests in total. The elegant on deck saloon provides fabulous uninterrupted views to the bow from the twin helm positions, safely situated well aft of the very large and comfortable leisure cockpit, protected by a fixed bimini over its entire length. A private access to the master suite is gained aft of the helms, leading down to a vast betting platform and dinghy dock. An expansive split-level living area is located below deck, offering panoramic view from the upper saloon, as well as an intimate lounge and a formal dining area. Aft there are four comfortable cabins, all with private heads and shower. The cabins are much more spacious than those found on yacht of similar size built in aluminium, as the composite structure does not require the substantial structural hull and deck frames found in alloy construction.